Namaste is pleased to be working with some incredible Readers, Practitioners, and Spiritual Healers. Click on their image for more information and pricing. Important Note: Our reader's hours can change. View up-to-date schedules here. | Call us at 212-645-0141 to book an appointment. Abhinandan is a Psychic - clairvoyant, clairsentient, clairaudient, Empath and Medium. Your questions regarding love, relationships and career will be answered by tapping into your energetic field and using the soul cards. As a medium, she can connect with your loved ones to give you special messages. Abhinandan is a certified Angelic Quantum healer and a certified Reiki Master. Using her gifts to tap into the infinite, she uses the sacred geometry or the medicine wheel calling upon the ancestral spirits to bring about healing at the soul level. Her sessions clear the auric field, align the chakras and balance the overall energy making one feel empowered, balanced, and in harmony with themselves. 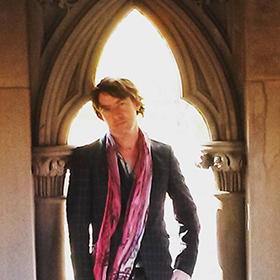 Alexander is an astrologer of both the Western and ancient Vedic systems, natural fragrance alchemist , ordained minister of the Science Of Light, Reiki attuned, and facilitator of the New and Full Moon Circle at the Edgar Cayce Center Of NY. 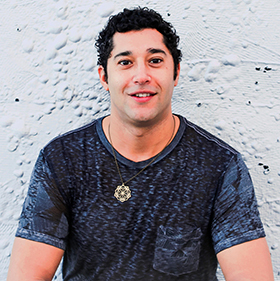 Ali (also known as Ether Tarot) is a 4th generation Espiritista (Psychic Medium), Intuitive Tarot Counselor and Ritual Practitioner. For over 21 years, she has served as a messenger between the spiritual and physical world, with the intention of healing both worlds. Her goal is to guide and channel divine messages that may connect you with your highest potential and spirituality. These messages may also be coupled with “intuitive antidotes” such as spiritual cleansing, crystal therapy, candle magick, along with other esoteric answers provided by Spirit. During your private session, divination tools such as tarot, oracle, lenormand and angel cards may be used. 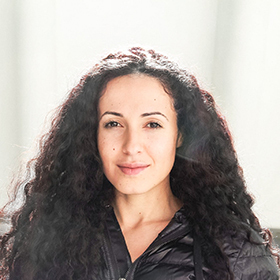 With her down-to-earth attitude, Ether Tarot truly enjoys to teach and help each of her clients unlock the divine wisdom and strength within themselves. Clients are encouraged to bring pen and paper for note taking, no voice recording is allowed. In addition, Ether Tarot is an advocate for Domestic/Sexual Violence, Mental Health and Human Rights. 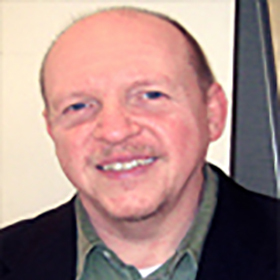 Andrew began mediumship and reiki when he confounded the First Spiritualist Church of Erie 10 years ago. Since then his work has taken him from LA to NY. 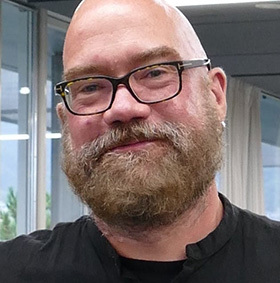 He also facilitates soundbaths, reiki circles, and group ceremonies within the local LGBTQ+ community. 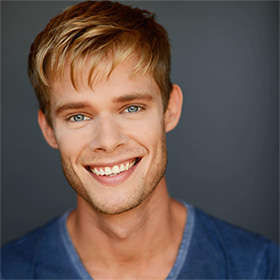 With an intuitive scan of the body, Andrew uses reiki light energy to rebalance and revitalize the chakras. Using the tarot he observes the current forces in your life and with clairvoyance and claircognizance channels the angelic realms for ideal solutions. 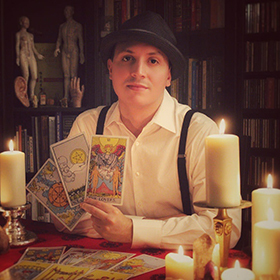 Anthony has been reading with the Voyager Tarot for 12 years professionally. He offers one on one sessions for either 15 or 30 minutes, where you can have a choice of a general reading or focus on a specific area in your life that needs clarification. 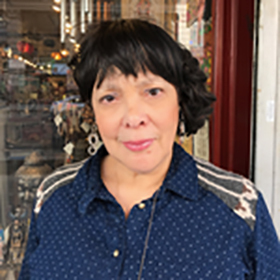 Blue June is a highly intuitive reader of Crystals, Tea Leaves and Tarot who conveys genuine compassion to her clients while still maintaining a no-nonsense style of council. A reading with Blue offers solid insights as to what is coming ahead and will help resolve any obstacles in your path, no subject is off limits. 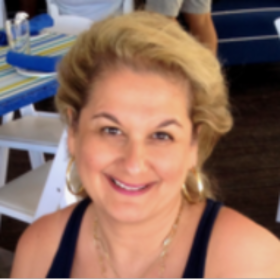 Catherine Marks is a Clairvoyant Dimensional Coach, Conscious Channel and Consultant residing in New York City. 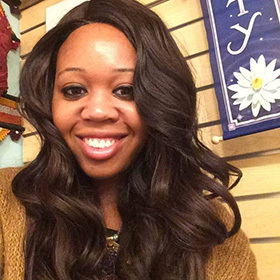 She has been a psychic memories since age 3 and has been giving messages since age 5. The ability runs through family generations. Metaphysics is her calling. As a Psychic Empath and Natural and trained Conscious Channel. 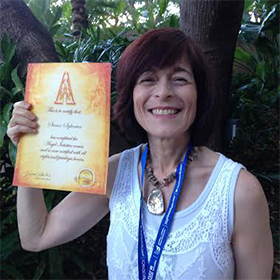 Catherine is Trained and Certified with the Holistic Studies Institute for many years. Specializing in soul retrieval and recovery from soul loss. Soul retrieval is a deep healing that returns and reintegrates parts of one’s soul or energy body that are lost, given away, or stolen during traumatic events, psychological or physical abuse, destructive relationships, or loss of loved ones. A Reader of cards and efficacious worker of root, candle, and charm. 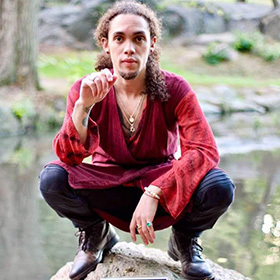 Dainichi Lazuli is a Native Manhattan born Spiritist and Hermetic Kabbalist, who has over 10 years experience with Tarot, Gypsy cards, Angelic Communication, Crystal Healing, Numerology and Norse Runes. Dainichi reads your choice of either Tarot or Angel Cards to determine which gemstones you can use for Planetary Connection, Angelic Communication, Meditation and Focus. 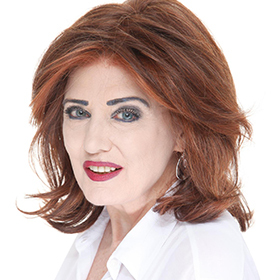 Darly Rose is a clairvoyant and clairaudient Intuitive who uses several modalities to connect to the unseen including Tarot, Mediumship and Spirit guides. 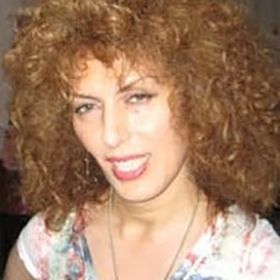 She is also highly clairsentient and a certified Reiki practitioner. Deeangelys Colon is a Spirit Intuitive, Empath, Tarot Interpreter, Reiki Master, Introspective Counselor and Paranormal Investigator. 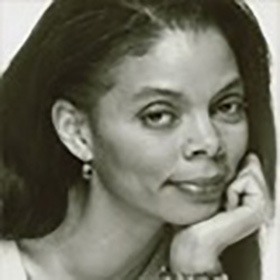 She has been a reader for over 25 years who receives messages from those in spirit and guides people to seek the answers to problems from within, which promotes clarity, healing and helps actualize the spiritual self. 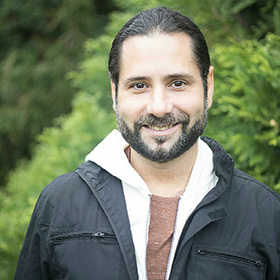 David’s tarot practice is rooted in a family tradition and can be best described as highly intuitive, healing, inclusive and practical.David began his training at the young age of seven with his father.Through his teen years and twenties, David turned his attention to Eastern philosophy and comparative religion which continues to serve as part of the foundation for an inclusive tarot practice. 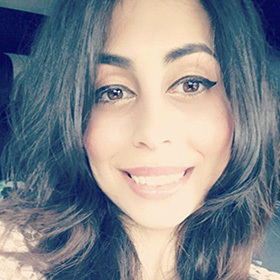 Farrah is an intuitive empath practiced in various spiritual disciplines such as kundalini meditation, yoga, Tarot & Oracle reading, crystal, and energy healing. With an understanding of esoteric knowledge and energy work, she believes proper use of divination tools can tap dormant provisions within us which may further the path of inner awakening. 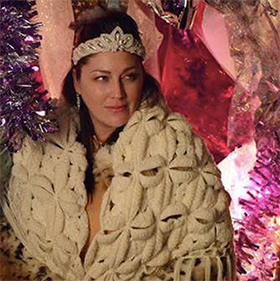 Fianna Avila has had fifteen years experience as a tarot reader, what started off as a hobby turned into something much more meaningful, and an eventually an incredible journey. Having been blessed with the gift of clairvoyance, empathy, and channeling, allows her to tailor her sessions to ones individual needs, wants, and concerns. Gabrielle Urich was born with the gift of clairvoyance. Through developing her gifts with the help of others just like her, she can now read energies without any tools, and can focus on areas of love, career, health, finance, and all other life matters. 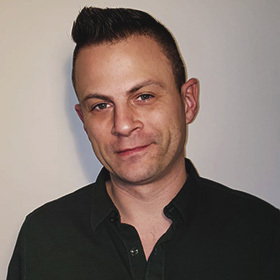 Joseph Eriq is a native New Yorker who has over 15 years experience in Western & Eastern Metaphysics, including Astrology (Western, Chinese & Vedic), Tarot, Numerology, Feng Shui, I-Ching Divination, Face Reading, Crystal Healing and Rootwork. He draws upon his knowledge of the Tarot & Astrology in his readings, as a means to diagnose your problems regarding, Love, Money, Career, Health or anything that is troubling you. Along with his expert advice, he can prescribe tailored solutions utilizing, crystals, candles, oils, herbs, charms, and Feng Shui cures to help increase your Good Fortune! Joseph’s credentials stem from teaching lineages spanning local institutions, The United Nations, Taiwan, Malaysia and Mainland China. 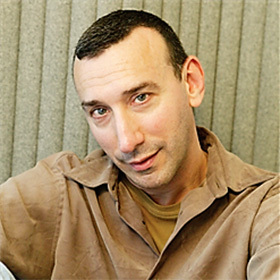 He is a professionally Certified Feng Shui Consultant, Internationally Certified Astrologer (ISAR-CAP & NCGR), Licensed Acupuncturist/Chinese Herbalist, Licensed Massage Therapist and a Certified Crystal Energy Healer. Rev. Jyogan is a Reiki Shihan (Master Teacher) and Buddhist Minister. He is one of very few Reiki Teachers in the west who have lived in and trained in all 3 initial levels of Reiki directly in Japan. If you’re looking for a direct connection to Traditional Japanese Reiki, you have found it! He brings his over 25 years of study and practice of Japanese Buddhism into his Reiki training. Karol Lynne is a nationally acclaimed and natural born mystic of Cherokee and Rappahannock heritage. 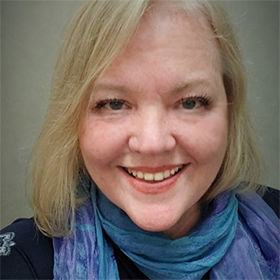 Karol is a compassionate, clear, and accurate clairvoyant medium, a certified Pythagorean numerologist, and a master tarot and oracle card advisor. Trained and initiated in several ancient mystery school systems Karol offers an insightful reading that includes your current numerology cycle, channeled messages from your personal Spirit Guides, Angels, and Ancestors, and specific questions answered with the tarot and Soul Path Destiny Oracle cards. You will receive accurate, timely and specific messages to assist you in important life issues including love, career, soul destiny, health, relocation, and general spiritual guidance and insights. Leslie is able to see events unfolding over your life; and by looking at your 13-year cycles, 7-year cycles, 1-year cycle, 52-day cycles, as well as weekly and daily influences of the cards, she helps you gain insight and illumination from within. 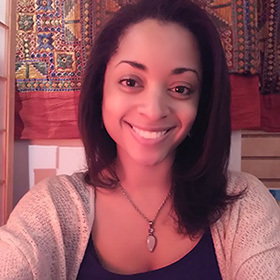 Natalie reads palms, tarot cards, gives aura readings, and chakra balancing. She can tell you about the past, present and future love, business, marriage, your well being, your job, give you names and descriptions of people who are positive influences in your life. Natalie's speciality is relationship readings, this reading she will reveal to you if your mate is true or false to you. All the questions you have for this relationship, she will give you the answers and also reveal to you if this is your soulmate through your reading. In 2008 during a two-week shamanic journey in Egypt, Nancy recognized that she was being called to work with energy. She spent the next two years studying reiki and became a 12thlevel Light Ascension Reiki Master with Children of Light in NYC. In addition to becoming a Reiki Master, Nancy continued her reiki studies for an additional two years and is now a bioenergetic and spiritual counselor working with adults. 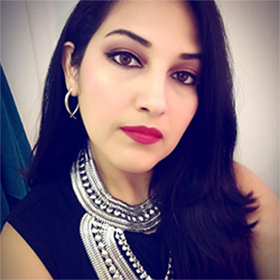 Saiedah is a Certified Intuitive Counselor, Reiki Master Teacher, Energy Healer and Starseed Mentor. 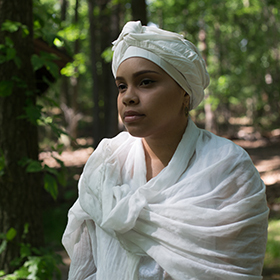 Dedicated to promoting Divine connection and spiritual growth, Saiedah utilizes her gifts and abilities to provide insightful messages, spiritual counseling and healing for those in need. Psychic since birth, Sam uses clairsentience (feeling), clairvoyance (seeing), clairaudience (hearing), along with Reiki, remote viewing, chakra & energy balancing techniques and numerology to read your aura (energy field), gain access to your higher self (connection to God) and explore your past in this life, past lives, present and future. His clients include everyone from major celebrites to law enforcement organizations and all walks of life in-between. Little Susan Marie saw things - future things that came true. So much so, that her mother called her “zingarell',” Italian for “little gypsy.” The little girl also saw the Archangel Michael, although he didn't speak...then. Once, she prayed with her young friends and saw the Infant of Prague. And Susan Marie knew lots of things that she couldn't have known (claircognizance). 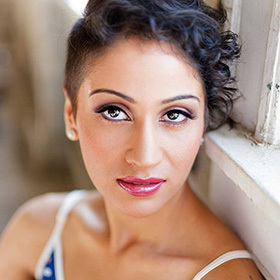 Victoria Akins is a Tarot card reader, Numerologist, Astrologer, Reiki Master and Fitness Trainer. 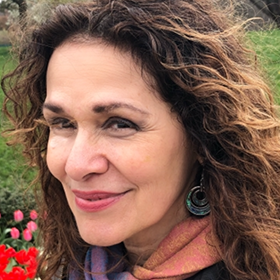 She’s a holistic healer, and her specialty is using the combination of these ancient divination systems to help individuals create and balance the life they seek.